The Houston Dash snapped a two-game losing streak with a 3-1 win over the Boston Breakers on the road on Saturday night. Dash forward Sarah Hagen scored twice and forward Janine Beckie added another as the Dash improved to 7-9-2 with 23 points, four points out of the final playoff spot. The Dash scored first, in the 10th minute of the game as Hagen tallied her first of the match. Beckie sent a cross into the box and Houston forward Rachel Daly collided with Boston goalkeeper Abby Smith as the two made a play for the ball. Hagen pushed the loose ball into the net to make it 1-0. Daly and Smith were down on the field for a moment, but both players stayed in the game and played the full 90 minutes. The Breakers equalized in the 26th minute when Natasha Dowie headed home a perfectly placed cross by rookie Margaret Purce. In the 64th minute, rookie Nichelle Prince sent a long through ball to the feet of Beckie, who then roofed her shot over Smith to make it 2-1. In the 79th minute, Hagen earned her brace and sealed the win. Andressinha dribbled through the midfield, and pushed a ball out wide to Poliana. Poliana then sent a dangerous cross into the box, but Smith was able to push it away from the onrushing Daly. The rebound, however, went to Hagen, who finished it to make the score 3-1. The two goals were Hagen’s first two of the season. The Dash were without midfielder Carli Lloyd, who is out with a left ankle sprain suffered on Sunday night in the loss to FC Kansas City. With the loss, the Breakers fell to 3-8-7 on the season. They have not won since a 1-0 win over the Washington Spirit on July 1. Megan Oyster (Boston Breakers) is shown the yellow card for a bad foul. Corner, Boston Breakers. Conceded by Rachel Daly. Substitution, Houston Dash. Claire Falknor replaces Nichelle Prince. Substitution, Boston Breakers. Tiffany Weimer replaces Amanda Da Costa. Attempt missed. Janine Beckie (Houston Dash) right footed shot from outside the box is too high. Assisted by Caity Heap. Attempt saved. Caity Heap (Houston Dash) right footed shot from outside the box is saved in the centre of the goal. Goal! Boston Breakers 1, Houston Dash 3. Sarah Hagen (Houston Dash) left footed shot from the centre of the box to the bottom left corner. Sarah Hagen (Houston Dash) hits the bar with a right footed shot from outside the box. Assisted by Andressinha with a through ball. Attempt saved. Morgan Andrews (Boston Breakers) right footed shot from outside the box is saved in the bottom left corner. Attempt missed. Janine Beckie (Houston Dash) left footed shot from the centre of the box misses to the right following a set piece situation. Hand ball by Morgan Andrews (Boston Breakers). Margaret Purce (Boston Breakers) wins a free kick on the right wing. Substitution, Boston Breakers. Morgan Andrews replaces Angela Salem. Goal! 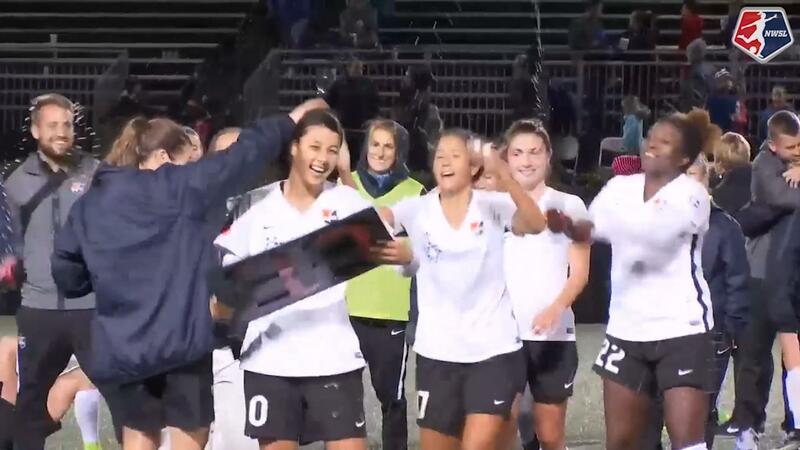 Boston Breakers 1, Houston Dash 2. Janine Beckie (Houston Dash) right footed shot from the centre of the box to the top right corner. Assisted by Nichelle Prince. Attempt saved. Andressinha (Houston Dash) right footed shot from outside the box is saved in the bottom left corner. Assisted by Janine Beckie. Corner, Boston Breakers. Conceded by Camille Levin. Attempt blocked. Ifeoma Onumonu (Boston Breakers) right footed shot from outside the box is blocked. Assisted by Adriana Leon. Attempt missed. Rosie White (Boston Breakers) left footed shot from the centre of the box is too high following a corner. Offside, Houston Dash. Poliana tries a through ball, but Sarah Hagen is caught offside. Attempt missed. Natasha Dowie (Boston Breakers) right footed shot from long range on the right is high and wide to the right. Assisted by Margaret Purce. Second Half begins Boston Breakers 1, Houston Dash 1. First Half ends, Boston Breakers 1, Houston Dash 1. Andressinha (Houston Dash) hits the bar with a right footed shot from outside the box from a direct free kick. Abby Smith (Boston Breakers) is shown the yellow card for a bad foul. 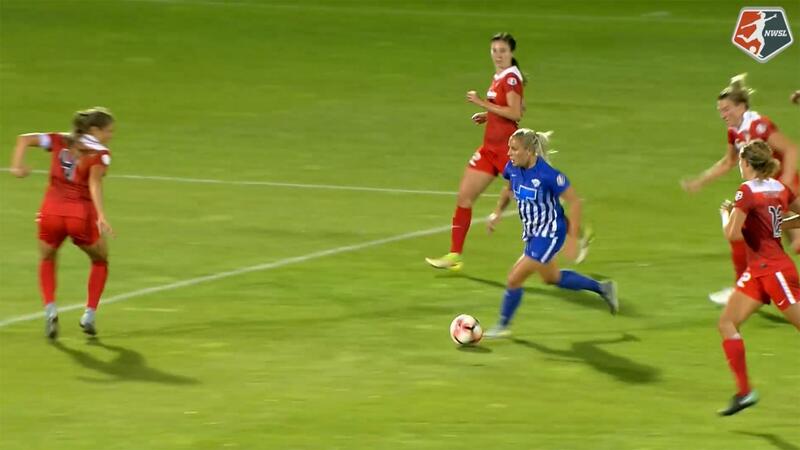 Foul by Abby Smith (Boston Breakers). Hand ball by Adriana Leon (Boston Breakers). Attempt blocked. Amanda Da Costa (Boston Breakers) right footed shot from the centre of the box is blocked. Attempt missed. Andressinha (Houston Dash) right footed shot from outside the box is close, but misses to the left. Assisted by Poliana. Attempt missed. Rachel Daly (Houston Dash) right footed shot from outside the box misses to the left. Assisted by Nichelle Prince. Attempt missed. Julie King (Boston Breakers) header from the centre of the box is too high. Assisted by Megan Oyster following a set piece situation. Amanda Frisbie (Boston Breakers) wins a free kick on the left wing. Attempt missed. 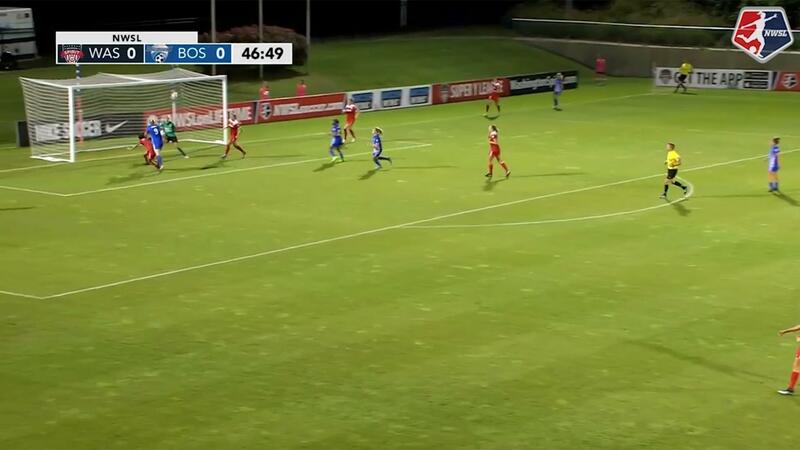 Amanda Da Costa (Boston Breakers) left footed shot from outside the box is close, but misses to the left. Corner, Boston Breakers. Conceded by Amber Brooks. Attempt missed. Sarah Hagen (Houston Dash) with an attempt from the left side of the six yard box is close, but misses to the left. Assisted by Rachel Daly with a cross. Foul by Amanda Da Costa (Boston Breakers). Goal! Boston Breakers 1, Houston Dash 1. Natasha Dowie (Boston Breakers) header from very close range to the bottom left corner. Assisted by Margaret Purce with a cross. Attempt blocked. Andressinha (Houston Dash) right footed shot from outside the box is blocked. Assisted by Cari Roccaro. Attempt saved. Camille Levin (Houston Dash) right footed shot from the left side of the box is saved in the top centre of the goal. Assisted by Sarah Hagen. Attempt missed. Rachel Daly (Houston Dash) left footed shot from outside the box is close, but misses to the right. Assisted by Andressinha. Attempt blocked. Ifeoma Onumonu (Boston Breakers) right footed shot from outside the box is blocked. Assisted by Amanda Da Costa. Hand ball by Ifeoma Onumonu (Boston Breakers). Goal! Boston Breakers 0, Houston Dash 1. Sarah Hagen (Houston Dash) right footed shot from very close range to the centre of the goal. Attempt saved. Rachel Daly (Houston Dash) header from the right side of the six yard box is saved in the top centre of the goal. Assisted by Janine Beckie. Attempt missed. Janine Beckie (Houston Dash) right footed shot from outside the box is high and wide to the right. Assisted by Rachel Daly. Attempt saved. Rosie White (Boston Breakers) left footed shot from outside the box is saved in the centre of the goal. Attempt saved. Rachel Daly (Houston Dash) left footed shot from the centre of the box is saved in the centre of the goal. Assisted by Nichelle Prince. Attempt saved. Nichelle Prince (Houston Dash) right footed shot from the centre of the box is saved in the centre of the goal. Assisted by Sarah Hagen.